It's the end result of a buffer, merge, bugffer and Chaikin Smoothing process in PostGIS. It's almost perfect however I'd like to remove some of the "fissures". 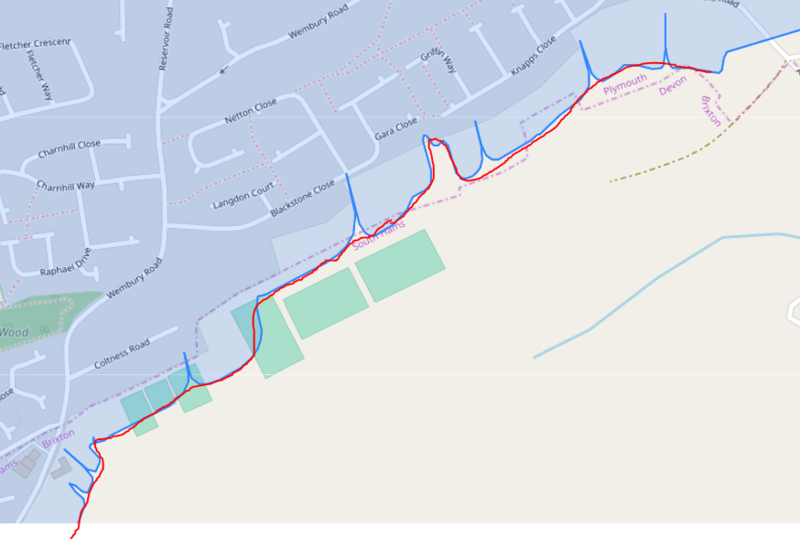 If I could get the shape to have the boundary like the red line below it would be great. Ideally something I can do in postGIS. ST_Simplify can work, but it is not exactly the best option depending of the situation (it's not really what it's made for, and you will easily lose the details of the boundaries of your polygone while still having holes). Cleaning it up with ST_Simplify or ST_SimplifyPreserveTopology should do that. Not the answer you're looking for? Browse other questions tagged postgis postgresql boundaries or ask your own question. Splitting overlap between polygons and assign to nearest polygon using PostGIS? 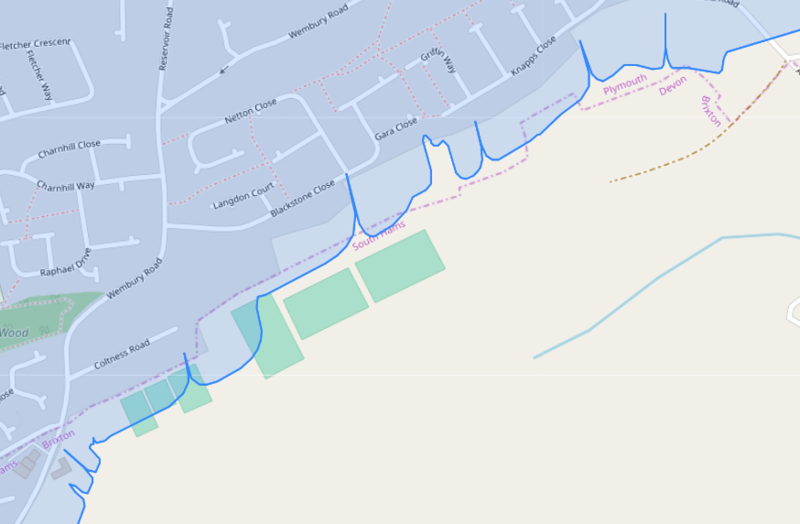 How do I select the longest connected lines from PostGIS ST_ApproximateMedialAxis?